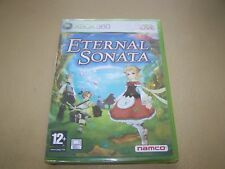 Eternal Sonata Xbox 360 Game - Boxed Free Post Used games may have odd marks. Dispatched via Royal Mail. If you've been looking for an RPG that's a little out of the ordinary, then. well, Eternal Sonata probably won't be for you. It's actually a LOT out of the ordinary. On his deathbed, the famous composer Chopin finds himself drifting between this life and the next. Title: Neverwinter Nights. Getting In Touch. 〉 Bundles & Job Lots. _gsrx_vers_841 (GS 7.0.16 (841)). Disc 1 and 2 like new, disc 3 some scratches but still playable. Original booklets included. Neverwinter Nights is the most eagerly awaited 3D RPG ever created. Neverwinter Nights. Set within the Forgotten Realms (Dungeons & Dragons 3rd Edition Rules), the city of Neverwinter is falling victim to the Wailing Death, a deadly, all consuming plague. Players have three characters to choose from, whose professions are Fighter, Sorcerer and Rogue, respectively specialising in close-up, long-range and stealth based combat. No doubt pleasing to fans of the Dungeons and Dragons universe is the inclusion of official creatures, numbering amongst them Bugbears, Slaadi and Yuan-tis, and official locations such as the Underdark, the Jungles of Chult and the Gemspark Mines. 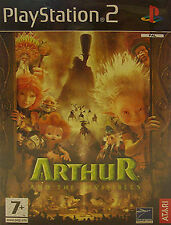 Original UK released triple disc PC CD-rom in very good condition. In the world of RPGs, there are two major categories. Various combat techniques and attacks can be executed with the press of a button, and characters can gain experience and levels as they defeat more enemies and move deeper into the adventure. Using Neverwinter Nights' powerful and user-friendly Neverwinter Toolset, you can create and populate entire new modular worlds and stories for others to adventure in. CD Keys are found back of manual or behind where disc are sitting. CLUEDO CHRONICALES. FATAL ILLUSION. There are puzzles to solve and mini-mysteries to unlock if you are to catch the murderer. Get ready for a totally engaging mystery adventure that is sure to keep you entertained from the opening scene to the exciting cliffhanging climax. Also included in Neverwinter Nights is a full set of editing tools that you can use to build your own dungeons or entire adventures, which can also be shared and played online. There arethousands of user-created modules available for download, giving Neverwinter Nights almost limitless playability. DUNGEON SIEGE & NEVERWINTER NIGHTS. 2 GREAT ROLE PLAYING GAMES FOR THE PC!! Using Neverwinter Nights' powerful and user-friendly Neverwinter Toolset, you can create and populate entire new modular worlds and stories for others to adventure in. THIS IS DUNGEON SIEGE & NEVERWINTER NIGHTS. NEVERWINTER NIGHTS. GREAT ROLE PLAYING GAME FOR THE PC!! Using Neverwinter Nights' powerful and user-friendly Neverwinter Toolset, you can create and populate entire new modular worlds and stories for others to adventure in. THIS IS NEVERWINTER NIGHTS. THIS VERSION HAS THE FULL MANUAL ON DISC. 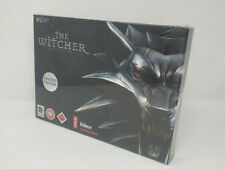 New & Sealed The Witcher Limited Collectors Edition for PC. InForgotten Realms: Demon Stone, players can direct a party of three different characters (a Fighter, a Sorcerer, and a Rogue) through ten different chapters set in an alternateDungeons & Dragons universe. Forgotten Realms | Neverwinter Nights 2. Role Playing. PC DVD-ROM. Neverwinter Nights - on PC. 94% verdict on PCGamer! Discs in very good condition. ONLY £2.99 and super fast FREE UK Delivery. Game case and disc are in excellent condition. Forgotten Realms - Neverwinter Nights for the PC. Hope you bag a bargain! We do not trade outside of E-Bay, so don't ask! Gaming Consoles (4). Hand Held / TT Gaming Consoles (2). Music (566). all Cd's are fully tested. All Photo's Are Of Actual Item For Sale. Safe & Secure. Other (22). Accessories (2). Eternal Sonata. for Microsoft X-Box 360. Condition: New and factory sealed.